There is nothing easier to serve on gameday than Chili. Start it in the morning, let it stew all day and you are ready for a party without the fuss! 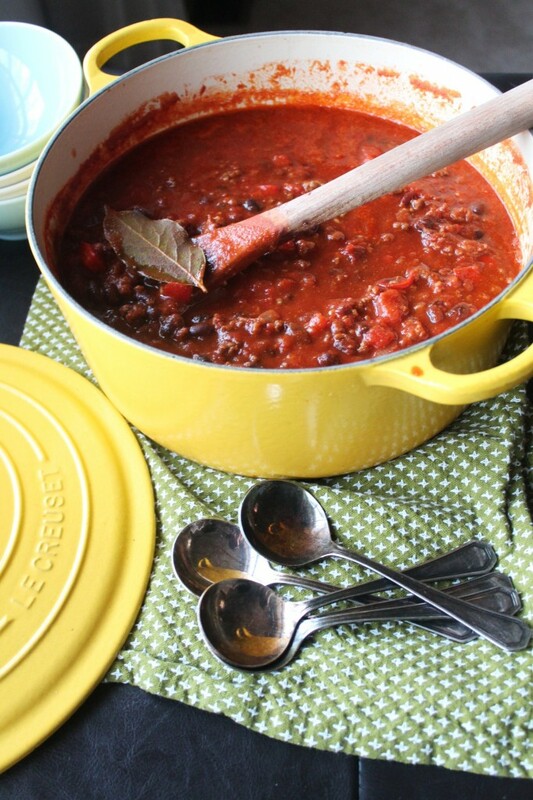 Everyone can easily dress their chili with fixins of their choice ~ This recipe is a crowd pleaser. I love serving dishes that are naturally gluten free, everyone is happy. Please don’t be intimidated by the longest ingredient list ever. Heat a large heavy bottom pot, add ground beef. After beef starts to brown, add onions, pepper, and garlic. Stir in tomato paste and spices. Combine well. Add 1 cup of the water/broth, scraping up any bits from the pan. *Ok, here is where it gets to be a personal preference thing. 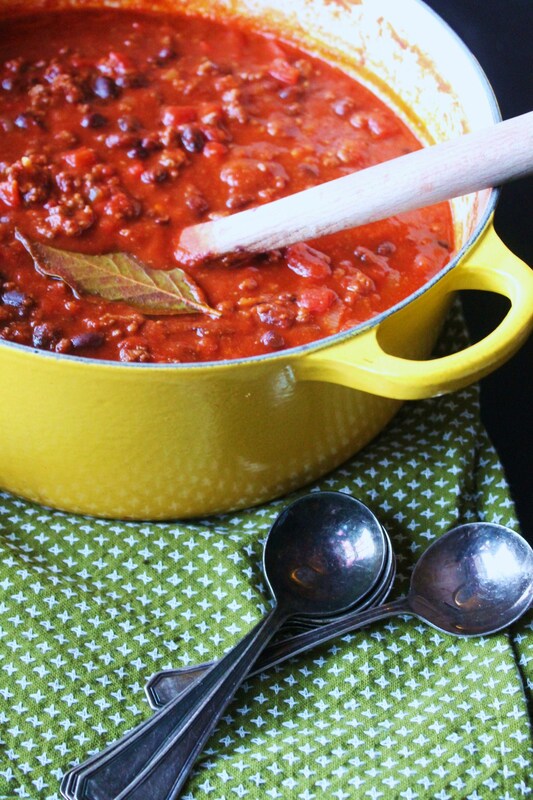 If you like a thicker chili, simmer with the lid off. For a thinner chili, keep the lid on, add up to 1 cup more water/broth to reach desired consistency. The longer you cook, the better the flavors will develop. Next day chili is actually the most flavorful, so it’s a great thing to make the day before, then warm in the crockpot for your guests. I always add a touch of sweetener to balance the flavors and don’t forget to season well with salt! It heightens the flavors- trust me. Sounds wonderful. I’ve always used red beans in my beef chili, so I’m going to try this one. 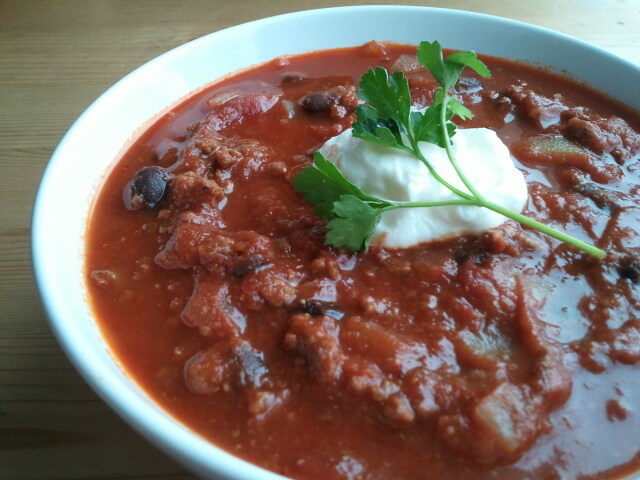 The chili is delicious. I substituted smoked paprika for more depth of flavor!! !